Ms. Granoff holds a BA from Duke University and an MBA from Columbia University. Ms. Granoff is a Senior Advisor to CapM. She has extensive business and executive leadership experience in the retail industry. Ms. Granoff served as the Chief Executive Officer of Vince from May 2012 to September 2015 and as its Chairwoman from April 2014 to June 2015. From May 2012 to November 2013, she also served as the CEO of Kellwood Company, a fashion apparel company with a diversified brand portfolio that included Vince until its IPO in November 2013. Before joining Vince and Kellwood, Ms. Granoff served as Chief Executive Officer of Kenneth Cole Productions from May 2008 to February 2011. Previously, Ms. Granoff served as Executive Vice President of Direct Brands of Liz Claiborne from 2006 to 2008, where she had global responsibility for Juicy Couture, Kate Spade, Lucky Brand Jeans and the company’s e-commerce and outlet businesses. Ms. Granoff also served as President and Chief Operating Officer of Victoria's Secret Beauty from 1999 to 2006 and as Senior Vice President of Strategic Planning, Finance and Information Systems for Estée Lauder from 1990 to 1999. She began her career as a Management Consultant in the strategic planning practice at A.T. Kearney. She serves as Director at the Fashion Institute of Technology Foundation. 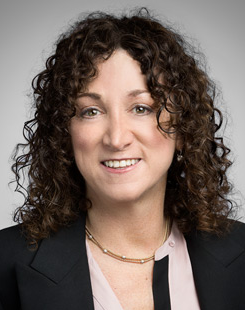 Ms. Granoff was also a Director at Demandware, the leading cloud-based ecommerce platform provider, from July 2011 until July 2016, when the company was successfully sold to Salesforce.com for $2.8 billion.